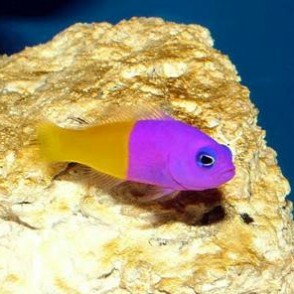 The Bicolor Dottyback, also called the Bicolor Pseudochromis or Royal Dottyback, is two bold colors; the anterior portion is purple and the posterior portion is bright yellow. 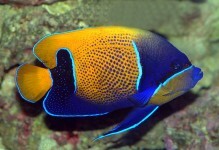 A 30 gallon or larger aquarium should be provided. 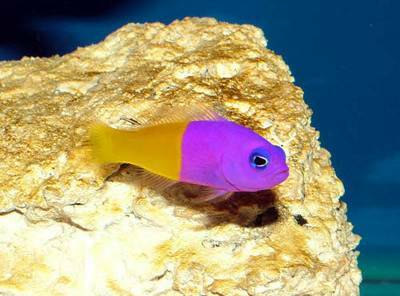 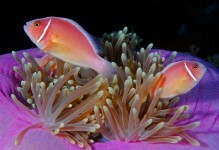 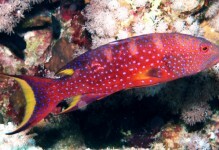 The Bicolor Dottyback will not be intimidated by other fish and will defend its territory against fish two to three times its size. 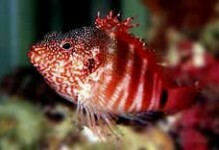 It will also eat ornamental shrimp and is a predator of nuisance bristleworms.